Our Class Parents and families have put together AMAZING baskets for each class to have raffled off at our Gala on March 30, 2019. We are going to take the class baskets to our parish communities and sell raffle tickets after Mass on the weekends leading up to the Gala. We will be at St. Denis Church on Sunday 3/10, St. Columba Church on Saturday 3/16 & Sunday 3/17 and St. Kateri Church on Saturday 3/23 & Sunday 3/24. 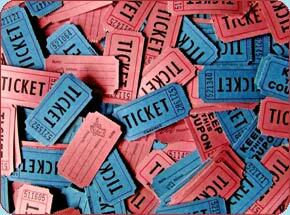 We are in need of volunteers to sell raffle tickets before and after each Mass time. Last year we did sell some as they came in for Mass as well as when they left. In addition to parent volunteers, students are welcome to assist. They should be in their winter uniform, as they are representing the school. Please comment in the sign up genius if you are having your student assist. Grade 7 students who assist will earn Confirmation Service Hours. The Gala Committee will ensure that the Class Baskets, Raffle Tickets, start up money, Raffle Boxes and any other supplies are at the Churches. There will also be someone there from the Gala Committee at the Masses. Remember that the class whose basket collects the most raffle tickets wins a class pizza & ice cream party along with extra recess! The baskets are all beautiful! !